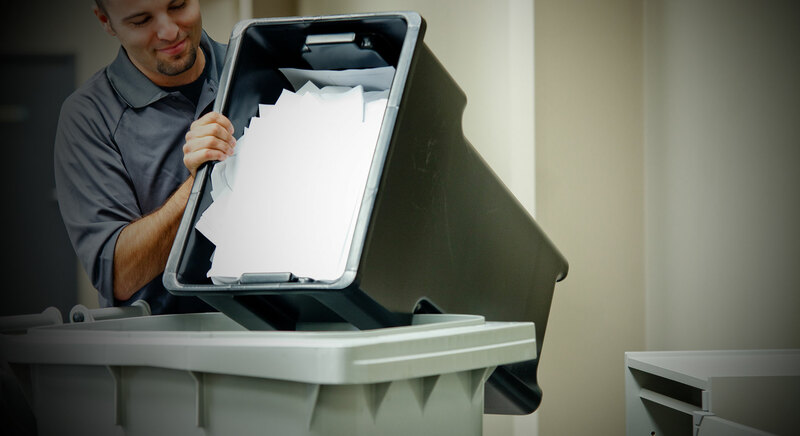 Looking for Medical File Shredding in Boston MA? Protecting private, sensitive data is necessary for any health care facility. Our secure Shredding Service in Metro Boston, MA can help you securely destroy documents and other media on site. From Medical Records to X-ray destruction, we can help medical facilities throughout the Greater Boston Area meet privacy State and Federal compliance rules. The Health Insurance Portability and Accountability Act (HIPAA) was enacted by the U.S. Congress in 1996. According to the Centers for Medicare and Medicaid Services (CMS) website, Title I of HIPAA protects health insurance coverage for workers and their families when they change or lose their jobs. Among other things, Title II of HIPAA, known as the Administrative Simplification (AS) provisions, imposes standards that are meant to improve the efficiency and effectiveness of the nation’s health care system by encouraging the widespread use of electronic data interchange in the US health care system. A major goal of the Privacy Rule is to assure that individuals’ health information is properly protected while allowing the flow of health information needed to provide and promote high-quality health care and to protect the public’s health and well-being. The Rule strikes a balance that permits important uses of the information, while protecting the privacy of people who seek care and healing. Given that the health care marketplace is diverse, the Rule is designed to be flexible and comprehensive to cover the variety of uses and disclosures that need to be addressed. Doctor-patient confidentiality has been a long-standing obligation. Now thanks to government regulations such as HIPAA, securely destroying medical records is a legal requirement. Storing your out of date records is neither cost effective nor secure. Our medical records destruction can help you destroy the old patients records in safe and affordable manner. Our Medical Records destruction solution not only helps you stay compliant, but does so in a way that increases the efficiency of your entire organization. Our secure, proven medical records destruction process is secure and efficient, with minimal disruption to your business. Comply with Federal and State legislation. Prevent identity theft and security breaches. Limit your liability to data breaches. Cost Effective Vs in-house shredding.